1st September – Stop right there, criminal scum! We hope you’ve been enjoying the Starbound 1.3 Spacefarer update over the summer. You’ve have assembled some pretty cool mechs! Among other things, we’ve been working on our next Starbound update, and we’re excited for it as always! Starbound 1.4 will see the player become a bounty hunter, tracking down wanted criminals for the new Peacekeeper organisation. A new bounty board will show who needs hunting down, the conditions for their arrest, and your ranking as a Peacekeeper. Tracking down one of these criminals isn’t a straightforward affair though – you will have to follow leads across multiple planets, raiding safehouses for your next clue, or fighting off members of your target’s gang. Sometimes you’ll have to take targets alive as well, using the Peacekeeper device known as the Long Arm. This gauntlet lets you handcuff targets remotely, but requires careful aim to lock down the perp! We’ll be showing off more over the coming weeks. Until then, happy Starbounding! Hey everyone! 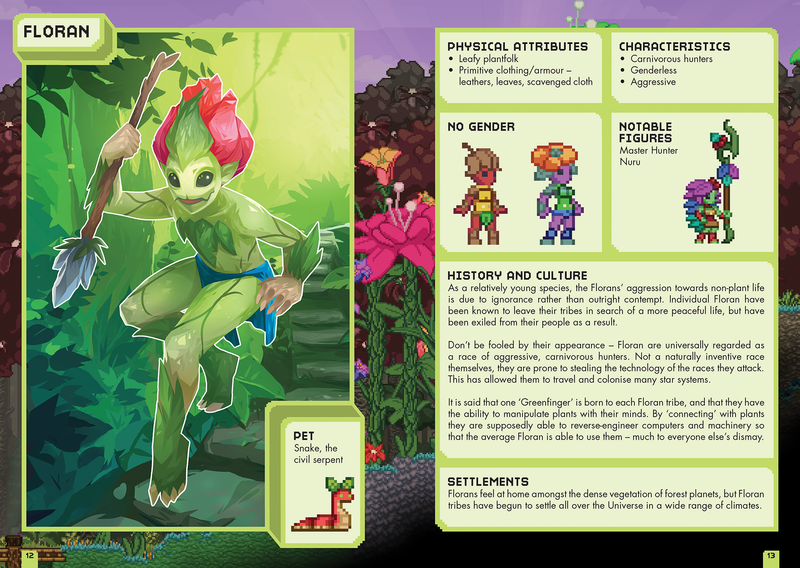 We’ve been working on a Starbound book! 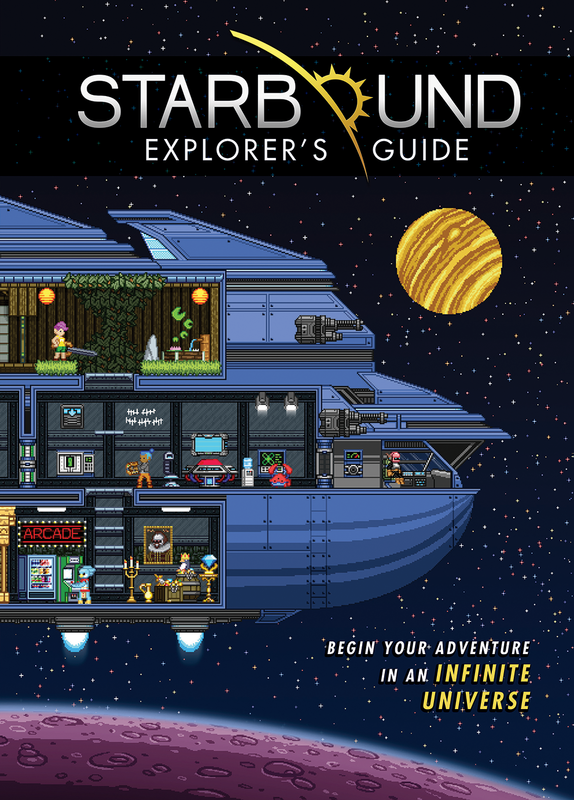 It’s called Starbound: Explorer’s Guide, and it’s a companion guide for Starbound beginners and returning players. We’re hoping it’ll serve as a quick reference for when you find yourself lost in space. We’ve partnered with Egmont Publishing on this project — you may have seen their pretty Minecraft books in shops. We’ve worked on this book with the goal of maintaining the depth of the official wiki while being accessible for players of all ages. It’s got everything from info about each of the player races, the Terrene Protectorate, collections, biomes, and missions. 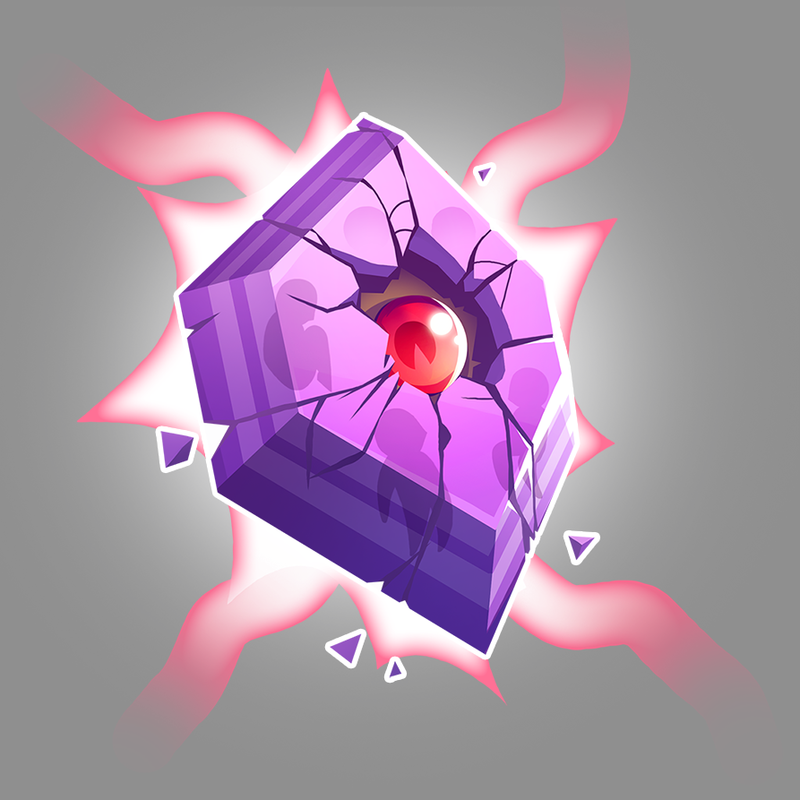 It also contains new & exclusive art and lore from us! We would really value your feedback about this book before we finalize it and begin to sell it! It would help us a lot if you took a few minutes to check out some of the pages, and then answer the questions on this survey. Thank you!